Just How Shallow is the Artificial Intelligence Talent Pool? What is a Senior Data Visualization Engineer? Diply VP of Data Science, Machine Learning and AI, will have the opportunity to build a superstar data science team from the ground up, both setting the strategy and ensuring tactical execution. 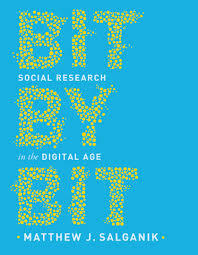 "The book goes well beyond "big data" to unpack the possibilities of doing social science research at a massive scale, and relatively inexpensively. This book should be read by social scientists who want to expand their research horizons, data scientists who want to understand how to incorporate the insights of social science, and anyone in a line of work in which they have potential data that can give them insights into how people behave..."
For a detailed list of books covering Data Science, Machine Learning, AI and associated programming languages check out our resources page. Easy to unsubscribe. No spam — we keep your email safe and do not share it. A free weekly newsletter featuring curated news, articles, guides, and jobs related to Data Science.